The 2020 Democratic primary faced one of its first serious controversies of the election season this week from an unannounced candidate. In a piece published to The Cut, former state Rep. Lucy Flores (D-NV) accused former Vice President Joe Biden of touching her inappropriately at a campaign event in 2014, when she was running for lieutenant governor of Nevada. In light of Flores’ essay, three other women have also come forward, all saying that Biden crossed lines and invaded their personal space. Democrats must distance themselves from America’s favorite creepy uncle. They must also seriously consider that the primary will not be so clean cut as the establishment had been hoping. When Supreme Court Justice Brett Kavanaugh was accused of sexual assault following his nomination, Democrats set the standard of believing all women. There were protests and demands that Kavanaugh’s nomination be withdrawn. Kavanaugh’s confirmation hearings will be remembered for being among the most contentious in Supreme Court history, besides his being the tightest margin for any justice ever confirmed to the court. Democrats have been slow to apply a similarly strict approach to their own members. In Virginia, Lieutenant Governor Justin Fairfax (D) was accused of sexual assault by two women. But the national and state parties hesitated to demand his resignation. Virginia’s Democratic party was being rocked by too many scandals and it was politically inconvenient to sacrifice Fairfax and risk the Republican House of Delegates Speaker Kirk Cox becoming governor. 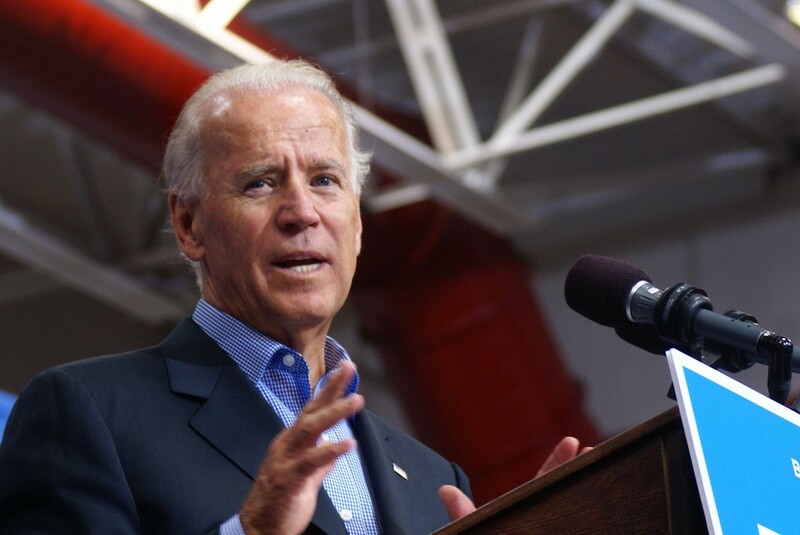 Democrats cannot afford to make a similar misstep with Biden, especially not if they plan to attack President Donald Trump (R) for his record with women. It will seem hypocritical to say the current president disrespects women if the party chooses to nominate a man who felt so entitled as to invade the space of other women. But saying goodbye to former President Barack Obama’s second-in-command comes with many of the same trade-offs as with a Fairfax resignation. Democrats will be hard-pressed to find such an obvious choice in the sea of candidates that have announced a run. They will also struggle with the fact that, up until this scandal, none of the other announced or expected candidates have the same level of broad appeal and name recognition. Some will use this as a justification to avoid denying Trump’s most serious competitor the top ticket spot. But doing this is wrong. In a post-MeToo world, the goal post is not just about addressing sexual violence. It is about changing the culture that makes perpetrators feel entitled to anyone else’s body and protected when they do it. Biden may not have assaulted anybody but he is the wrong nominee for today’s Democratic party. Maybe even the right nominee won’t win, in the primary or against Trump, but if Democrats expect to lead the pack on women’s rights, then Biden can’t see the light of a general election.